Stream Palmetto Wave's New Release "Swimtape"
"Swimtape" i almetto Wave's latest project where the Florida-bred artist’s natural ability to make trend-capturing hits is creatively constructed around designing the perfect soundtrack for hot weather and bi aves. ll ten songs boast good vibes. Wave produces a clear picture of an ambitious and passionate beach boy rap-singing over bouncy, bubbly bangers perfect for playing by an ocean. is clashing ideas and rapid flow shifts give the tape a unique aura that set almetto Wave apart from other rappers. This and many more elements can be noticed throughout "Swimtape", which feels mor ike an album. 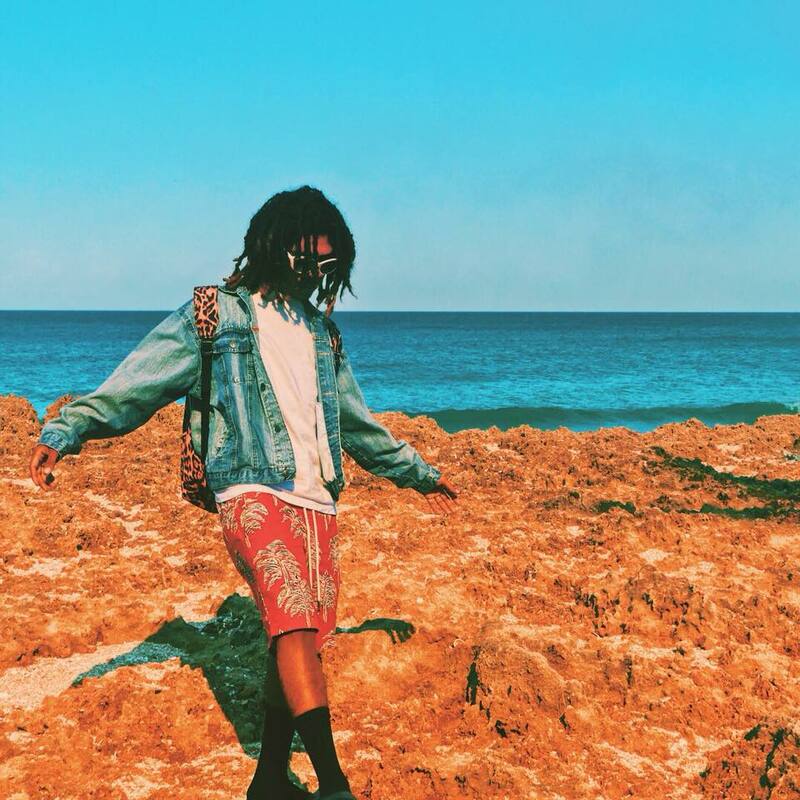 Palmetto Wave is a recording artist/producer from Port St. Lucie, Florida. After moving to Miami in 2012, he began working on an album titled “Savannah”, which remains unreleased. In 2013, he instead put out “WaterGold”, his first official self-produced album release. He went on to accumulate over 85k plays on his “Palm Trees” remix in 2014 and had gained more than 250k total SoundCloud plays after the release of his second and third self-produced albums, “Tree Mason” and “Catch The Wave”. In 2015, Palmetto Wave put out his fourth and fifth self-produced albums, “Money Tree” and “Natural”, as well as three projects including his “4u EP”, “Treestyle”, and “Treemix” and in 2016 he released a song called “Cash” that has earned over 14k plays on SoundCloud following four mixtapes, “Twenty Tree”, “Trick Or Tree”, and “World War Tree”, subsequent to his sixth self-produced album, “High Tech Low Life”. On August 31st of 2017, Wave dropped “Magnum Opus”, a 20-track album in collaboration with various producers. “Treemix 2” was released in December and his remix to Kodak Black’s “Brand New Glizzy” had acquired over 5k plays on Spotify. As of 2018, Palmetto Wave has gained over 1.4k monthly Spotify listeners. He has released a self-produced “Kowabunga EP” and a mixtape, “9 Tree”, with his single, “Slide”, which was played on 1AM Radio. His most recent project, “Swimtape” was released on June 1st and is already gaining massive attention with singles like "Wrist Watch", which was premiered on HWING.net. Palmetto Wave now plans to go on tour soon and work on more projects in the future.